Architecture games are an intriguing way to incorporate fun and learning into an activity that gives kids a bonafide skill. As an added bonus, such games pique kids' interest and appreciation for architecture. Aside from giving kids architecture games to play, you can encourage students' interest by taking them on architecture tours around town. The website Dr-mikes-math-games-for-kids.com, has a math architecture game created especially for kids that treats kids like commissioned architects. 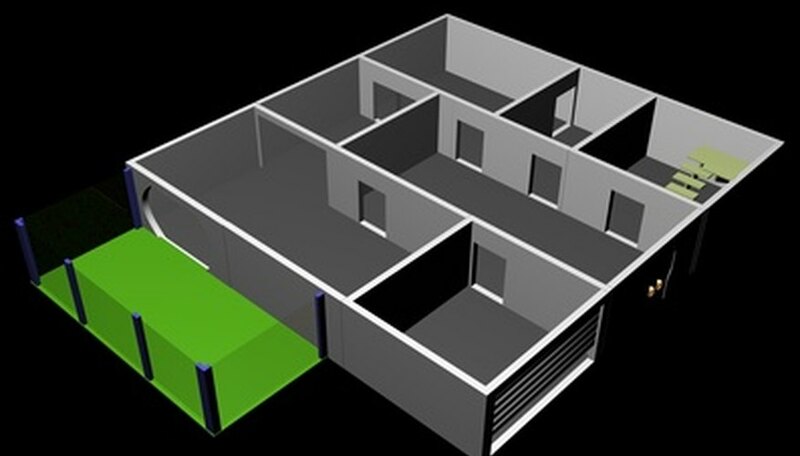 The game poses kids with the task of designing an apartment of a designated square footage, using as few rooms as possible. The game provides kids with graph paper and room square footage that they can simply click on to add to their plan. Kids need to use their knowledge of math and area in order to do this successfully. As an added bonus, if done correctly, kids earn "money" as payment for this job as an architect. They can click on a new project once they finish and earn even more. The game Jr. Architect is a type of software that can be downloaded from the Internet directly to home computers for a small fee. In this game, children use their imagination and creativity to build homes for animals, mythical creatures and fairy tale characters. Kids can create distinctive homes for each character that reflect that character's needs. For example, if designing a home for a kangaroo, a child can choose to build a house with high ceilings for when the kangaroo hops and bounces. Or if building a house for a tiger, choose to have lots of trees surround the house so the tiger can have fun climbing them. The website of Pbskids.org/historydetectives shows kids how architecture is a direct reflection of a given period in history and that by examining the architectural details of a structure, they can find out more about the time that the structure was built. According to Pbskids.org, "The shape of the roof, type of windows, and the façade of the house are important details in relating architecture to a period of time." At this website, kids can play the game "How Old is this House?" There they click on a picture of a house and have to choose a year that the house was built from three choices. Before deciding upon an answer, children examine architectural details of the house via a virtual tour and exploration. When they feel confident about when the house was built, they click on a year.